We work with architects, home builders, interior designers, and individual clients to design beautiful functional spaces. We specialize in making custom cabinetry of all types including, home office wallbed rooms, Murphy style beds, craft and scrapbook rooms, kitchen and bath design, built-in entertainment centers & niches, fireplace surrounds, under-stair storage. We are also general contractors focusing on kitchen and bath remodeling and fireplace remodeling. If we can design it, we can make it. We have been in business for 27 years serving southern California. We pride ourselves on treating people how we would like to be treated. We are family owned and operated. We love our work and are always excited to take on new challenges and create beautiful spaces. No job too small - give us a call. 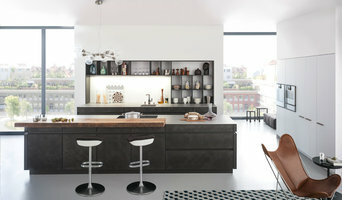 Anew Kitchen and Bath Design Experience is a new way to experience contracting. We not only are excellent with our hands, we know design and customer service as well! 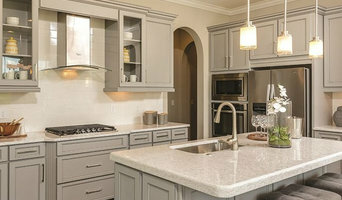 Anew sells cabinetry, counters and floors including installations. We also do room additions, mantles and home offices. Our staff features Certified Designers, so we don't just follow the original architects layout, we create a new design using the guidelines specified by the National Kitchen and Bath Association. AJ Cabinets has been an industry leader for 15+ years. We are a small, family owned and operated business. 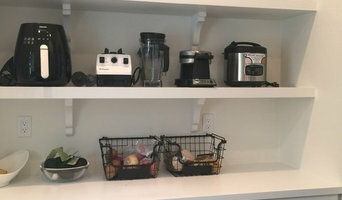 Our goal is to provide the best custom cabinets and make the process simple and easy for you. We are dedicated to making our clients happy and enjoy leaving each one with a smile on their face. At AJ Cabinets, we take pride in helping make an impact in other families' lives throughout our community. Our goal is to make your home a reflection of "you". We cover all aspects of interior design from flooring, tile design, furniture and fabric design, space planning, color consultations, and accessorizing. 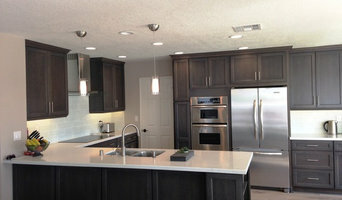 We specialize in kitchen, bath and whole home remodels. Each home is custom designed to fit the client's lifestyle. We enjoy working with clients throughout the United States.